Leeds. The capital of England (London who? ), attractive students, tremendous live music, cracking house parties, the edgiest fashion and most importantly… a wonderful place to study. This Russell Group university was named University of the Year 2017 by The Times. I’m going to spill the beans on why that might be the case by taking you on a tour of the best city in the world, and all that Leeds student life has to offer. You heard it here first. This quirky find used to be a three-storey nursery which provided childcare support for the working families of Leeds. Now it pulsates with the buzz of artists and performers as the aroma of cheesy pizza, from Dough Boys, rises from the kitchen. During the summer you could be anywhere in the world. Leeds students ascend to the famous rooftop, to celebrate the end of exams, and gaze upon the city of Leeds which they happily call ‘home’. It sounds too good to be true so try to capture the good vibes of this venue with an Instagram. I’ve heard it looks really good with the Slumber filter. During the summer, on my walks back home through Hyde Park, I have often spotted the Quidditch Society zooming around desperately trying to catch the Golden Snitch. The crowds of people, also walking home, often join me by stopping and staring in fascination and wonder at this remarkable game. Once or twice I am sure that I have spotted Ron Weasley on the sidelines. This society claims to be the world’s only gender inclusive full contact sport and is ranked 7th in the country. 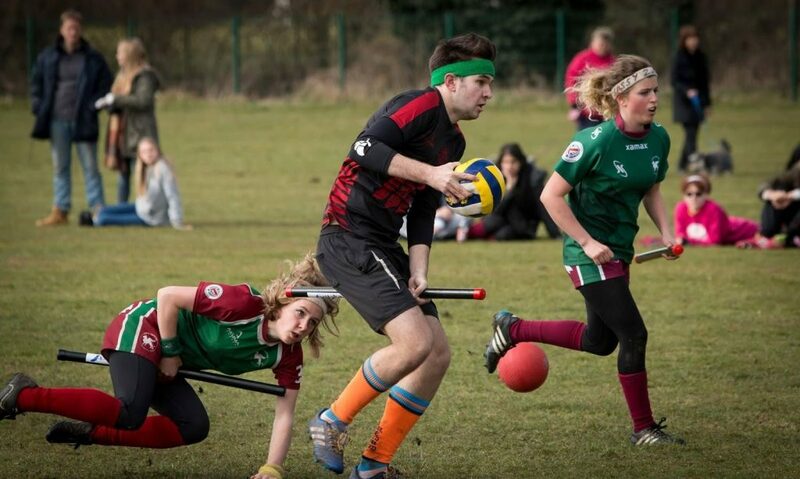 If you’re havin’ quidditch problems I feel bad for you son, I got 99 problems but a snitch ain’t one. This was the first ever restaurant I went to in Leeds and it whispered in my ear that I would never find better Thai food than this in the UK. 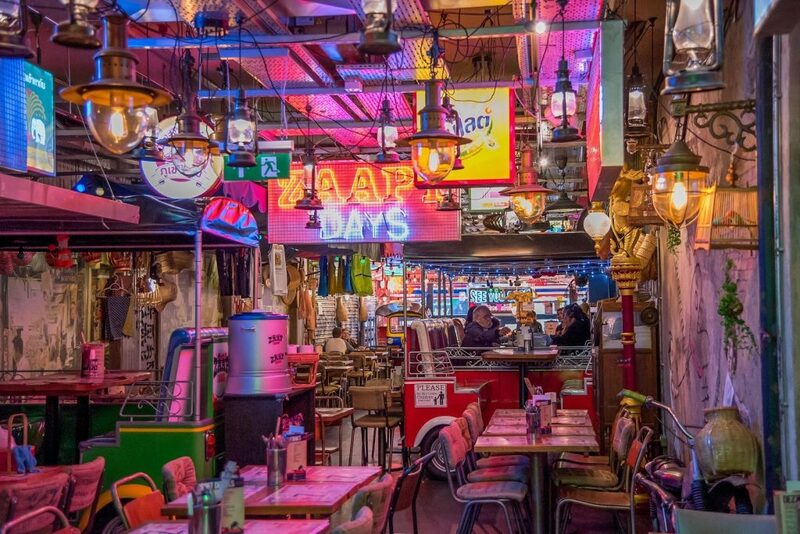 When you step inside you are transported into a bustling Bangkok Street Food Market, filled with richly coloured Tuk Tuks, the hum of the kitchen preparing scrumptious feasts in front of your eyes, under twinkling neon lights. The prices rock just as the flavours rock your taste buds. When you go, please bring me back the Massaman? Thanks. Wander from the idyllic, marbled library into a world of culture and art. 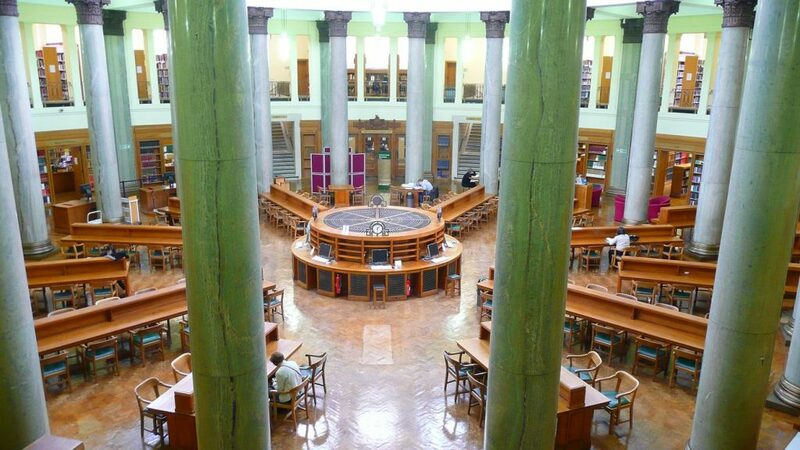 This jewel is tucked away in the Parkinson Building of the University of Leeds. It holds artifacts such as William Shakespeare’s 1623 first folio and The Stanley and Aubrey Burton Gallery which showcases the hard work of the students from the School of Design and the School of Fine Art, History of Art and Cultural Studies. Entry is free so it’s a great place where procrastination and inspiration intertwine. You’re only a true Leeds student once you’ve been dressed in the uniform. This uniform can be bought from Blue Rinse. 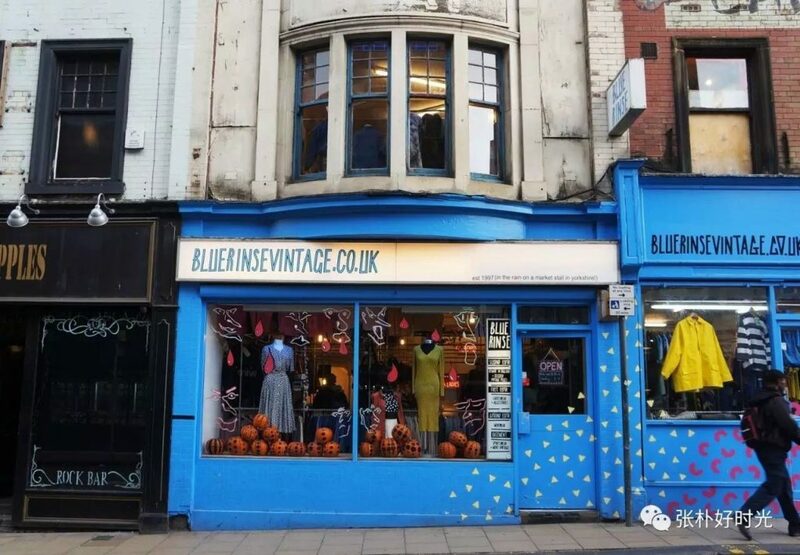 This vintage shop, with 90’s sportswear and grungy wardrobe essentials, is situated in Call Lane. Have your true ‘Malibu moment’ as you pretend to be in ‘Wild Child’ whilst rummaging through the hoards of rainbow clothes. Once you’ve bought your uniform, make sure you enter Leeds Union to the entrance song ‘Let Me Think About It’ by Ida Corr, for the full effect. And if you don’t get that reference then please watch ‘Wild Child’ again. It’s a really good film. I live directly opposite the Picture House and therefore I can honestly say that it is ALWAYS buzzing. 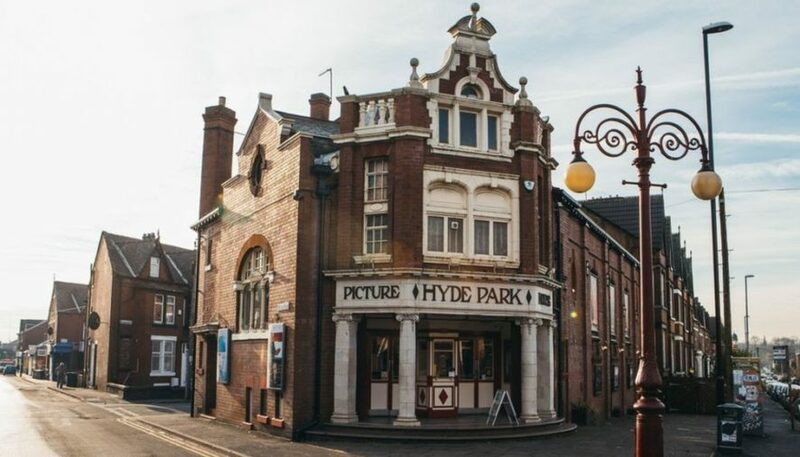 Despite the outbreak of war, in August 1914, the Hyde Park Picture House was built and opened on the 7th November 1914. It proclaimed to be ‘the coziest in Leeds’ and this is what they still try to live up to today. They succeed. During Fresher’s it often shows films for free such as the award winning ‘La La Land’. Ryan Gosling for free? I’ll take it. The Brits are renowned for really living it up in the summer months. Usually this takes place in a dodgy beer garden. Well Leeds students do it best by gathering up their beverages, speakers, retro sunnies and taking it to the park where they sprawl on the green, green grass of West Yorkshire. If you’re lucky, a local might even walk past with their pet pooch to pat. Even wandering the streets of the LS6 region, you breathe in the seductive scent of deliciously, fatty food, being sizzled on the BBQ, as you are engulfed by the sweet music of Patrick Topping. It really is living the dream and we do it best. 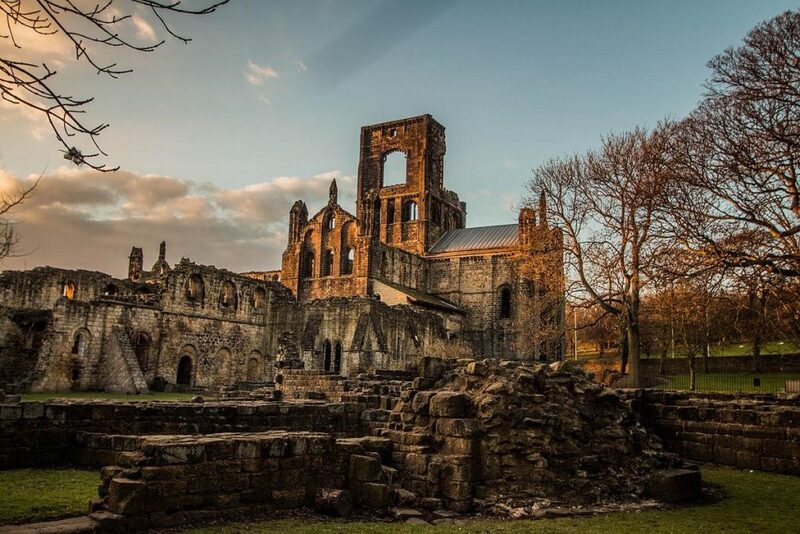 If you’re a BA History student or have the urge to feed your hunger for culture then pop to Kirkstall Abbey for the day! This ruined ministry used to be filled with monks who moved here, from Barnoldswick, to seek the silence and peace of the woods. Rumour has it the ‘Game of Thrones’ actor, Kit Harington, has been spotted filming the drama called ‘Gunpowder’. Walk in the footsteps of monks and Kit for a really educational day out. Lovely. This famous pub crawl is a rite of passage. Leeds students have been ploughing their way through pints on this pilgrimage of pubs since the medieval times apparently… Perfect for societies to unleash their wild side, or to spontaneously spruce up your Monday, this tradition will live on for decades to come. Best completed in fancy dress, you can begin at any pub that tickles your fancy. The finishing line is often Terrace… or Fruity… if you’re really in need of your 5 A day. Saving the best till last. An Otley Run is never complete without a detour to Crispys. At midnight the Crispy rave begins. The lights are dimmed. The disco ball swings majestically from the ceiling. Oldies (but goldies) are blasted through the speakers. This is a prime spot for blurry-eyed Leeds students to descend upon after a night out. Become a true Northerner by gobbling down cheesy chips and gravy, followed by a battered sausage, followed by a lamb donner wrap kebab, followed by a falafel wrap, followed by a garlic margherita. Sorry. I got a bit over excited. 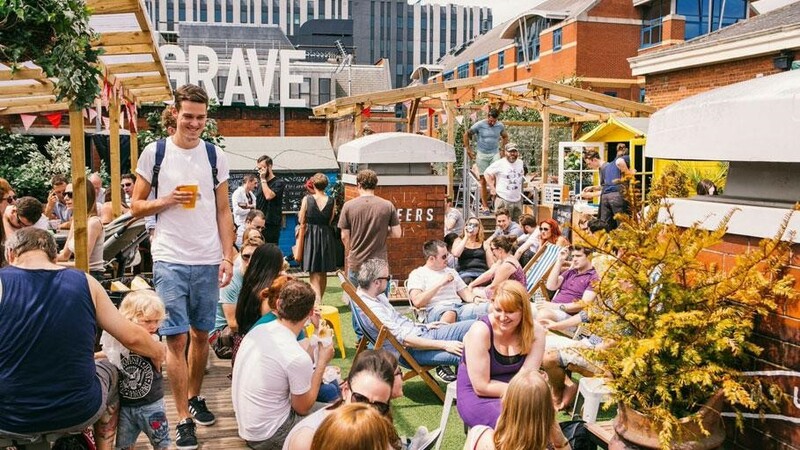 That wraps things up for the 10 things to do in Leeds as a student. If that doesn’t sell the University of Leeds to you then you might need to seek help.